Well friends, countrymen and baseball fans Padre Steve was able to take in one last ball game in Mudville aka Stockton California before flying back tomorrow to the home of the Navy and site of the first landing by English Colonists in the New World, Norfolk and Virginia Beach Virginia. While I look forward to coming home and being with my wife Judy, the Abbess of the Abbey Normal, I shall miss the lack of humidity here in the “Big Valley” aka the Central Valley of California. The weather has heated up to the kind of weather that I remember growing up with, 100 degrees plus but low humidity which if you ask me makes all the difference in the world. Even though I have adapted to the mugginess of the East Coast and Mid Atlantic region I am always amazed when I can sit comfortably through a day game with temps in the high 90’s and low 100’s without much effort other than adding copious amounts of 50 weight Banana Boat sun screen to my fragile Northern European genetically engineered skin. Today I attended the second game of the Stockton Ports series against the Bakersfield Blaze with my old high school classmate and US Navy Master Chief Petty Officer, retired Tony Melendez. It was great to see the game with Tony sharing what was happening in our lives and talking baseball while enjoying Tecate beer and an Alpine Hot Dog. The game was interesting because it was an 1105 AM start, early by my books but with the heat of the Central Valley not a bad idea as the temperatures only get hotter until about 5 PM when they begin to cool down. 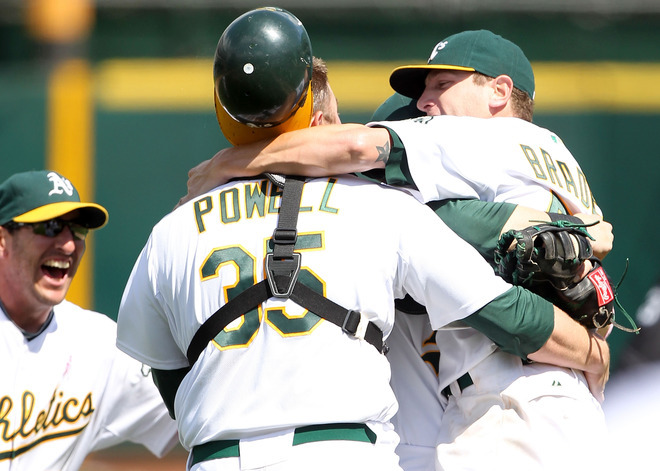 The game was the first Ports game ever televised on the Major League Baseball Network and Comcast Sports Hometown. In preparation for the game I wore my Norfolk Tides road jersey and the orange and black hat which has been worn interchangeably at home and on the road this season. Additionally I made pilgrimage to Wally World to get some poster board and black and orange Sharpies to make a double sided sign with one side saying “Padre Steve’s Road Trip….Go Tides!” and the other “Steve Loves Judy” only with a heart in it. I think that I got on TV at the 7th inning stretch so if anyone saw it let me know. Since I was the only person in the park with a sign I figured that I should get on at least once. The game was much more of a hitters show today than the pitcher’s duel of the preceding night and was error free. 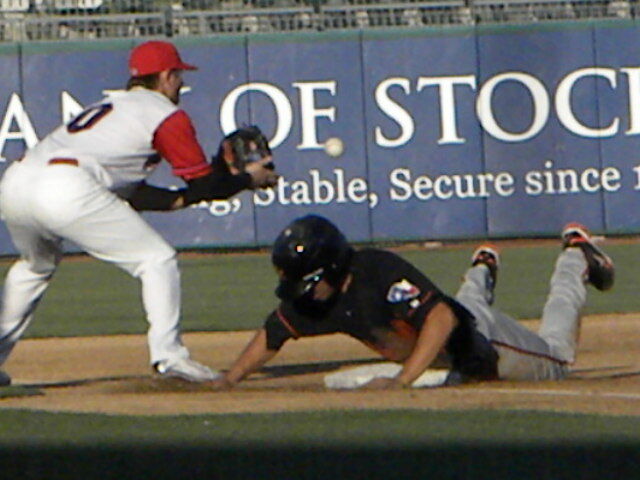 The Ports had 8 runs on 9 hits with no errors leaving 3 men on base. The Blaze, the affiliate of the Texas Rangers in the California League had 6 runs on 10 hits and no errors leaving 8 runners stranded. 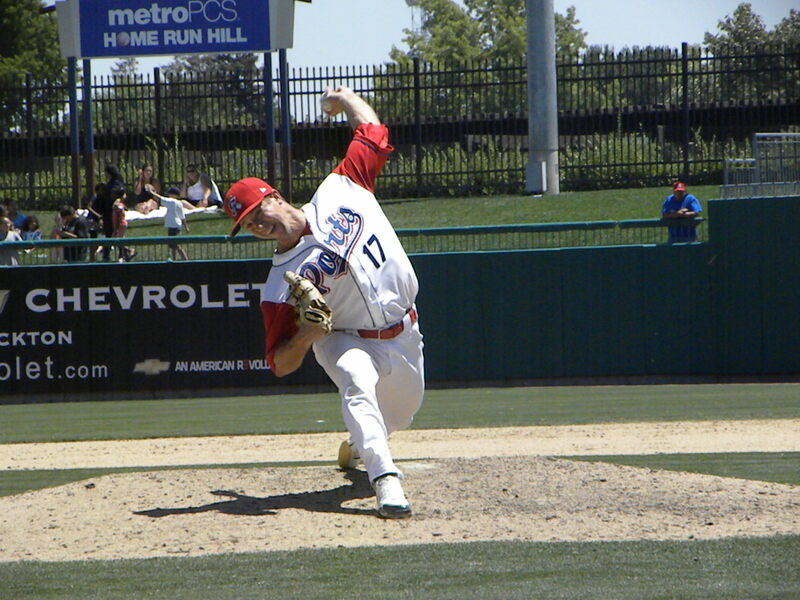 Lance Sewell (2-0 3.12 ERA) pitching 2.1 innings of perfect relief got the win for the Ports and Paul Smyth, (3-2 1.80 ERA) got his 11th save of the campaign. Kennil Gomez (2-6 6.24 ERA) got the loss for the Blaze. The Blaze led early scoring 2 in the 2nd inning and 1 in the 3rd inning but the Ports scored 4 in the 4th to take the lead. 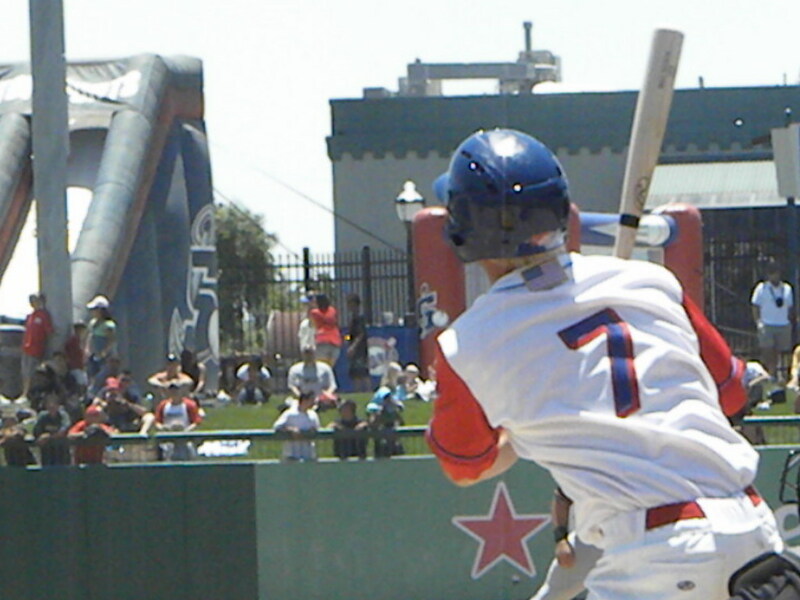 The Blaze would take the lead again in the 6th inning but surrendered it in the 7th when Ports shortstop Grant Green pounded a two run shot while Jeremy Barfield added a solo blast in the 8th inning. 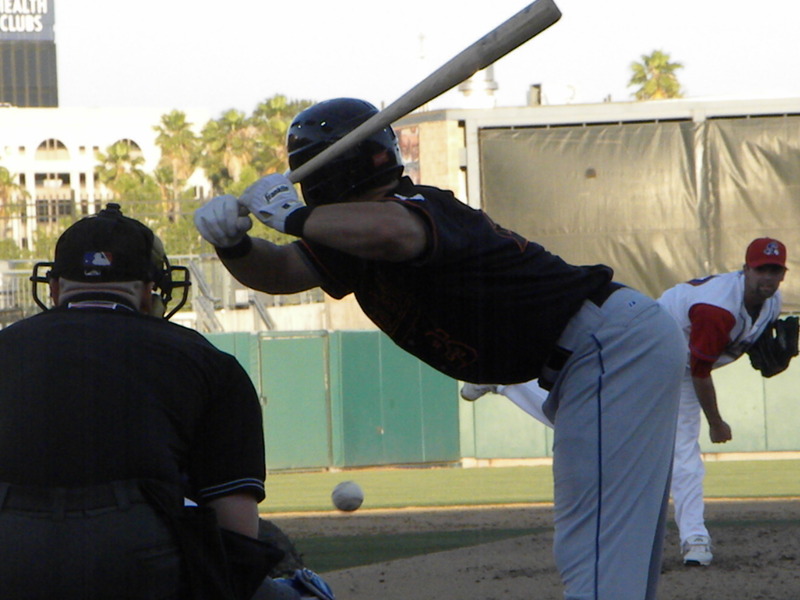 The hitting was driven by the long ball with each team having three apiece the difference that the Blaze homers were single shots with no runners on base and two of the Ports homers came with men on base, one a three run homer by David Thomas with 2 on and 2 out in the bottom of the 4th inning. 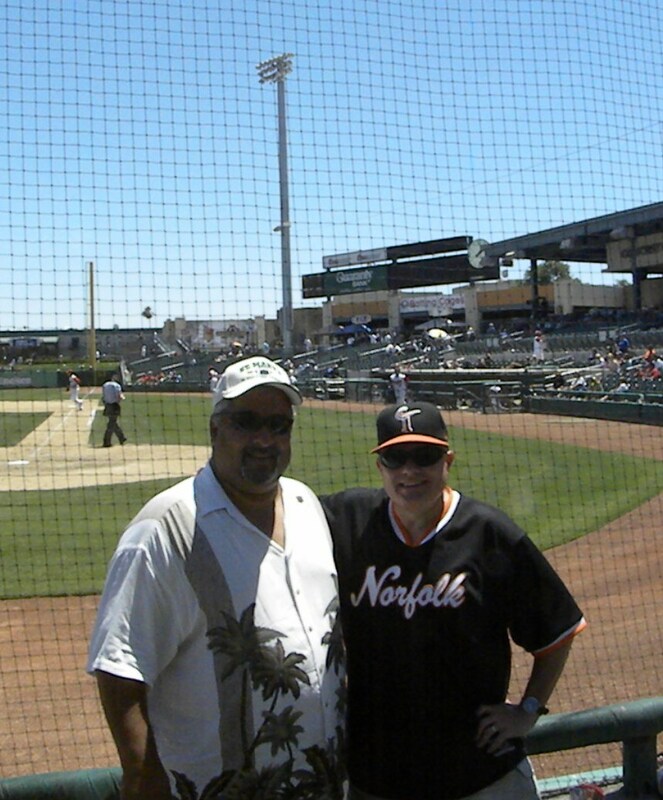 After the game I met Pat Filiponne the President and General Manager of the Ports through Tony. Pat knows the Tides Owner Ken Young and General Manager Dave Rosenfield and is also the owner and President of the Del Marva Shorebirds in the Orioles organization. I was able to take in a light dinner at Arroyo’s Café, a Stockton fixture and tradition for many years and enjoyed some really excellent California Mexican Food. It was interesting to listen to the men at the bar talking about the state of the city, state and country. 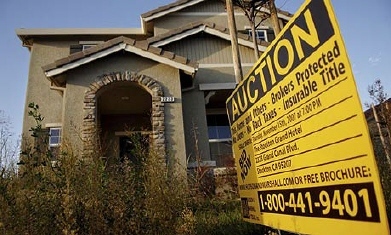 If they are any barometer there is a lot of discontent in the country and anger at politicians of all stripes as well as the corporations they feel they are in cahoots with. Tomorrow I head home the road trip to help my mother and brother following the death of my father and to honor his memory. 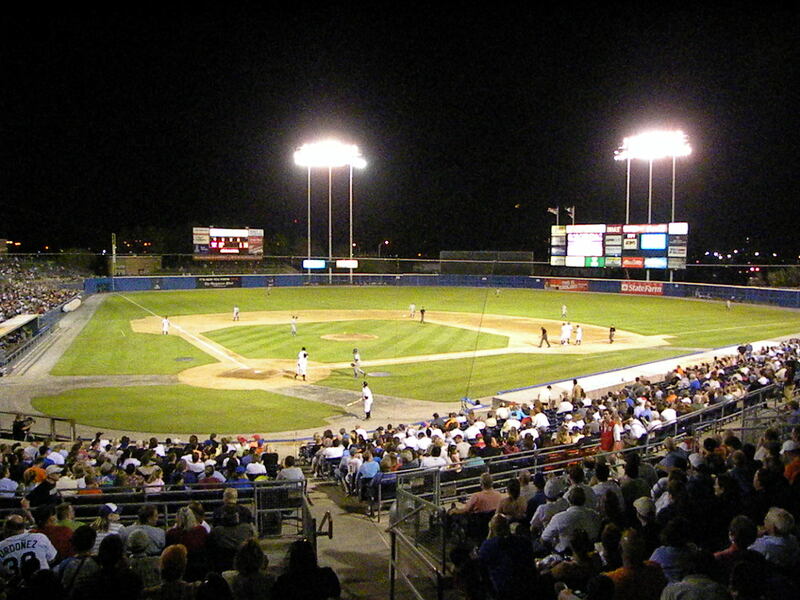 When I get back I still have some leave and the Tides who won in Charlotte this evening defeating the Knights by a score of 12 to 3 will return home to Harbor Park on Thursday to play three at home against their southern division rival Knights and I expect to be there. So see you there. With my dad’s memorial service now in the past and having done all that I can do in fighting through government and business bureaucracies I went to see my old “home town” team play at Banner Island Park. As you all know by now baseball is one of the few things that help bring order to my world in times of stress, grief and loss which pretty much describes the past week. 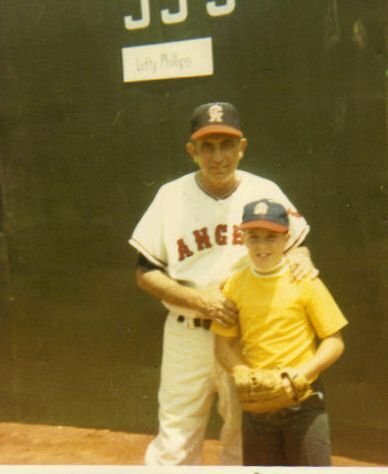 My association with the Ports goes back to the days in the early 1970s when they played a Billy Herbert Field and were the “Single-A” affiliate of the Baltimore Orioles. They enjoyed that relationship from about 1958 to 1972. The fact that they were an orioles farm team and that on “hat day” they gave away Orioles caps caused me to have some interest in the Orioles throughout my life to the point now that I can say that with the Giants and A’s that they are one of my favorite ball clubs despite the fact that they have not had a winning season in 13 years. The Ports now belong to the Athletics’ organization playing in the California League which along with the Carolina League are consider “High Single A” leagues, so they have some good talented players that do have a legitimate chance to get to the big leagues. Their new home which replaced the venerable Billy Herbert Field is a marvelous facility that sits on the Stockton Channel with a “splash down” area over the right field wall and concourse. It is a wonderful venue to see a ball game and I recommend it if you are ever around Stockton when the Ports are in town. 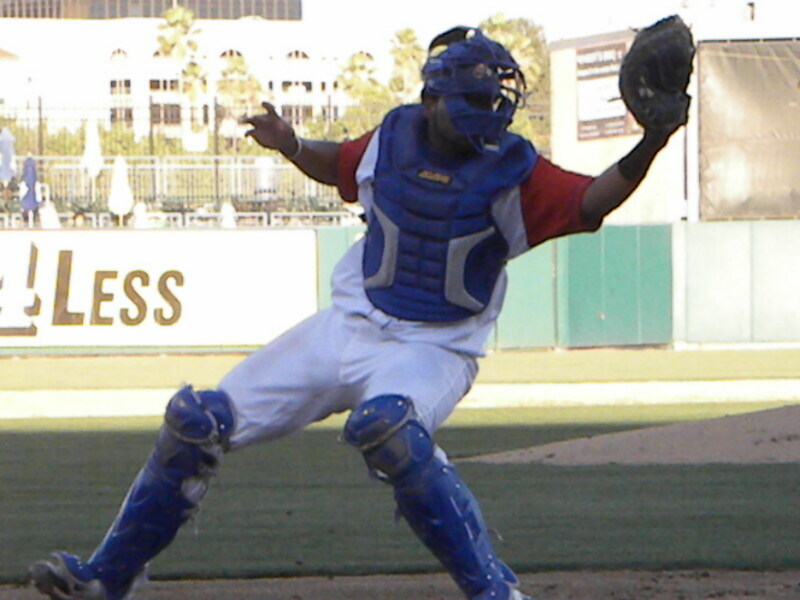 Tonight the Ports played the Bakersfield Blaze of the Texas Rangers farm system the first game of a three game home stand prior to the July 4th Weekend. I got to the park a bit early and got my ticket for a seat directly behind home plate in the first row. Like about any minor league park on a really hot day, it was well over 100 today in Stockton, but no humidity, the Monday night crowd was sparse and I sat near some gents that knew the Ports, California League and the A’s system well. I also as is my custom struck up a conversation with one of the ushers as well to ensure that I could move around to get some photos. 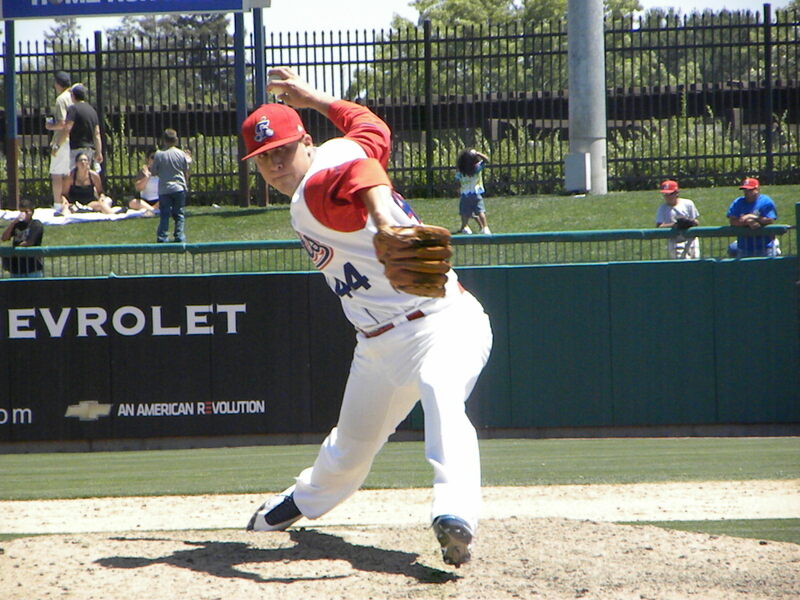 The game was low scoring; the Blaze scored one run in the 1st inning when John Whittleman singled off of Ports starting pitcher Michael Madsen to score David Paisano from third. 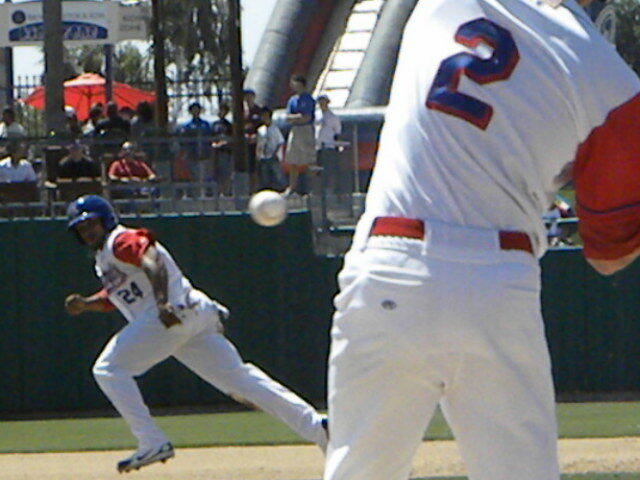 They scored another in the second when Andres James doubled to score Doug Hogan who had been hit by a pitch with two outs. Apart from those two runs the pitching staff of both teams shut down the offense of the other team. The Ports mounted no real threat and scattered only 6 hits scoring none of the 4 runners that reach scoring position. While I was at the game I found out that former Norfolk Tides infielder Brandon Pinckney who hails from Elk Grove up by Sacramento had just been picked up by the Athletics and signed to a minor league free agent deal with the Ports. At the end of last season Brandon became a free agent and signed with the Phillies who released him on the 15th of June. After the game I was able to welcome Brandon back to California where while it is definitely hot in Stockton there is no humidity. Once the sun set tonight the temps were very comfortable. In Norfolk the Tides dropped the final game of their home stand to the Louisville Bats by a score of 7-2 and in Baltimore, don’t look now but the Orioles have won 4 in a row sweeping the Nationals in Baltimore this weekend and face the Athletics tomorrow at Camden Yards. The Orioles designated First Baseman Garrett Atkins for assignment. Tomorrow my Road trip continues and I will see the Ports take on the Blaze in a game that will be nationally televised on the MLB Network at 11:05 Pacific Standard Time and 2:05 Eastern Standard Time. I will be wearing my Norfolk Tides black road jersey and hopefully will have a sign to say hello to any of my friends watching the game. I will be attending it with an old high school classmate and retired Navy Master Chief Petty Officer Tony Melendez. 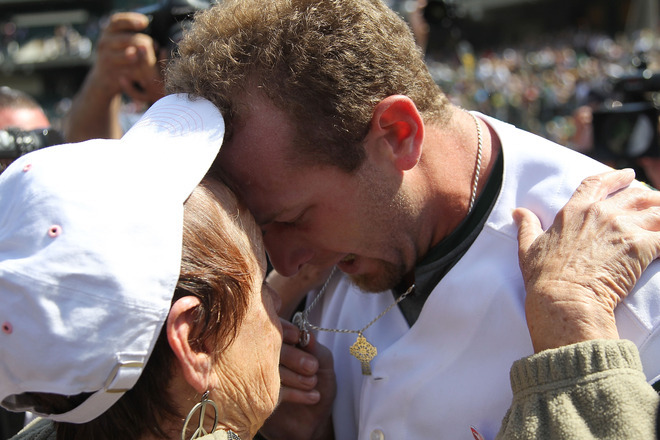 There is something about baseball that is healing. It is part of the fabric of our American culture something that somehow overcomes the political and religious divisions that so divide our country right now. We were at Gordon Biersch watching the last couple of innings of a qualification game for the Little League World series between a team from Peabody Massachusetts and one from Rhode Island. It was one of those magical games that ended with a walk-off Grand-Slam home run in the bottom of the 6th. It triggered a flood of memories for me and ait got Judy, the Abby Normal Abbess and I talking about some of our own expereinces travelling the country and watching baseball. I love the game of baseball especially going to a ballpark and seeing a game. The experience of this for me has been life-long though difficult to continue from about 1983-1999 due to a tour in Germany with the Army a very difficult four years of seminary followed by residency, my first hospital job where I worked the second shift, a mobilized tour in Germany prior to coming in the Navy in early 1999. During those years getting to games was a rare event, either due to time or money. Despite this we as a couple got to a few games and I got in a couple on my own when traveling. Thankfully, Judy, the Abby Normal Abbess tolerates and even joins me in my own baseball journey. When I went into the Navy and moved to North Carolina that began to change. North Carolina of course is the setting of the classic baseball movie Bull Durham and once can visit some of the same ballparks as are shown in the movie. The adventure of going to the ballpark again became a regular part of our lives. It began in a little town in Eastern North Carolina called Kinston, the home of the Kinston Indians. Kinston is a town that has seen better times, but the Indians, or the K-Tribe as they are known is part of the lifeblood of the community. They play in Grainger Stadium, which though an older ballpark is still a great place to watch a game. The Indians Carolina League which is advanced “A” ball and for a number of years dominated that League. 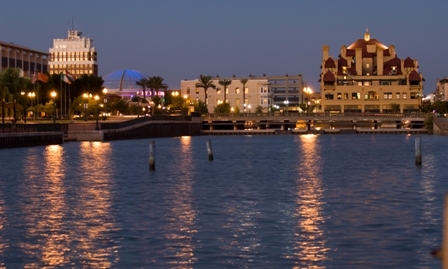 When were stationed in Camp LeJeune we would make the trip to Kinston on a regular basis when I was in town. At the time the Indians farm system was producing a lot of great prospects, many who now are major leaguers, including Grady Sizemore, Jhonny Peralta Shane Victorino and Victor Martinez. 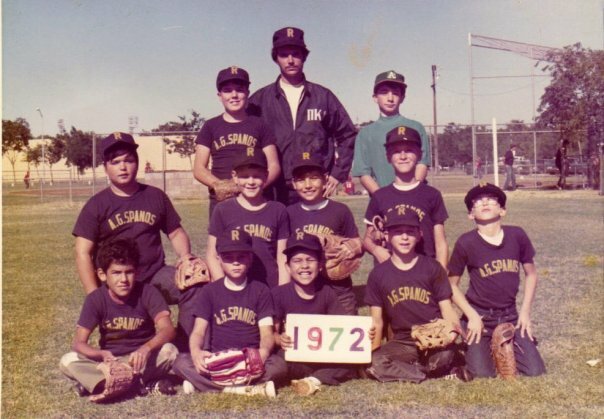 When we left LeJeune we were stationed a brief time in Jacksonville Florida, where we lived very close to the Baseball Grounds of Jacksonville, home of the Jacksonville Suns then the Los Angeles Dodgers AA affiliate in the Southern League. The ballpark is a great venue to see a game and the Suns management led by Peter Bragan and Peter Bragan Jr. who are part of a great baseball family run a great show, and the Dodgers staff was a class organization. I got to meet Tommy Lasorda in Jacksonville as well as Steve Yeager. I have 2 game worn special issue jerseys from the Suns. When we moved to Norfolk in 2003 the season was already over but beginning on opening day of 2004 I began to worship at the Church of Baseball, Harbor Park Parish. This if you follow this site is the home of the Norfolk Tides. Ever since then I have had the opportunity to see the game close up on a very regular basis. In addition to attending the games near us we would travel and see other games. We would make trips down to Kinston from Virginia. Once we went to a reunion of a singing group, the Continental Singers and Orchestra that I ran spotlight for back in 1979 which was being held in Kansas City. On the way we saw a game in Louisville with the Louisville Bats, followed by a game in Cedar Rapids Iowa where we saw the Cedar Rapids Kernels play the Battle Creek Yankees and followed it with a trip to the “Field of Dreams” outside Dyersville, where that film was made. Judy indulged me by playing catch with me on the field and taking my picture coming out of the cornfield. It was almost; well it was a spiritual experience. Occasionally when we visit Huntington West Virginia we try to see the West Virginia Power in Charleston. Until I went to Iraq Judy and I used to take trips to Minor League ballparks around our Wedding anniversary. We would take about four or five days and travel city to city to see some of the most fascinating baseball venues around. We haven’t made a trip like that, even outside the wedding anniversary in a while mainly due to time as my much leave time has been spent going home to assist with my parents, especially the past 18 months where my dad’s Alzheimer’s Disease has progressed to the point of him being in a nursing home on palliative care. Despite that I would always try to find time to see a game when in Stockton. 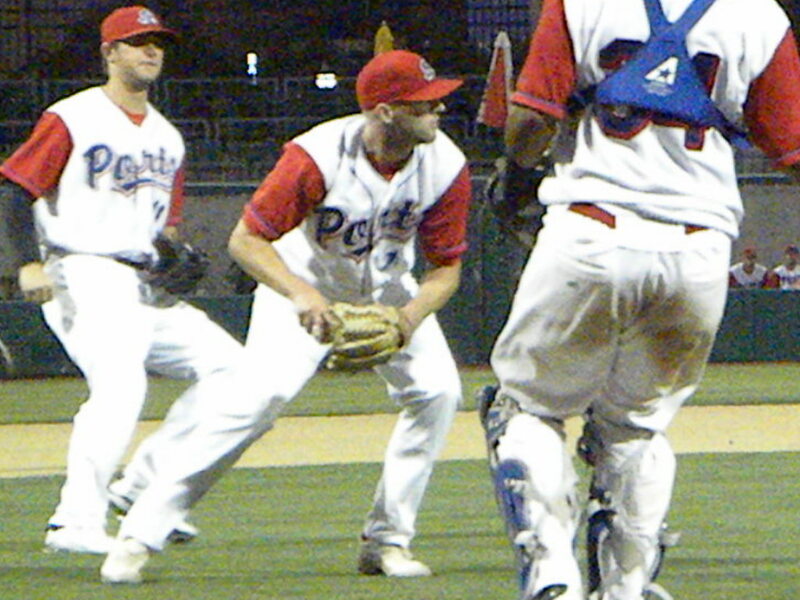 Before Iraq we would see the Stockton Ports in Billy Herbert Field. The Ports now play in Banner Island Ballpark which is a great place to see a game. If the Ports have not been in town we have occasionally been able to see the Giants, the A’s or the Sacramento River Cats, the AAA affiliate of the A’s. The anniversary trips took us to some of the most interesting places to see games. I have already mentioned Kinston where on one of our anniversaries we got to throw out the first pitch. We have also travelled to Winston-Salem, when they were the Warthogs and Charlotte home of the Knights, the AAA affiliate of the White Sox. Actually, Charlotte’s stadium is just down the road a way in Round Rock South Carolina. We got rained out in Winston-Salem as a major storm hit at game time. To our north we have been up to Frederick Maryland, home of the Frederick Keys, the Carolina League affiliate of the Orioles and Harrisburg Pennsylvania to see the Harrisburg Senators, the Montreal Expos-Washington Senators AA Eastern League affiliate at Metro-Bank Park on City Island. This park was used in the movie Major League II as the Spring Training facility. There were two really cool things that happened at Harrisburg which was on our anniversary. First we saw Phillies Slugger Ryan Howard about tear the cover off a ball hitting a double down the right field line and the General Manager had a ball autographed for us by the team. That was really cool. Likewise when Atlanta still had its Richmond affiliate, the Richmond Braves, we made a number of trips to “The Diamond” in Richmond. This was the worst stadium I had ever watched a game in, though the team was always good. 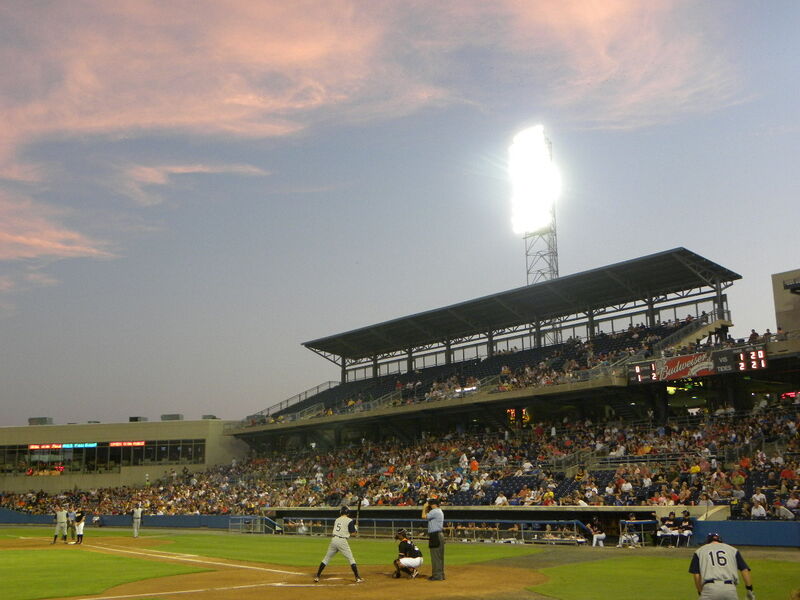 We saw a playoff game there in 2004 between the Braves and the Columbus Clippers, who were then the Yankees AAA affiliate. Sitting behind home plate I saw Jason Giambi play for the Clippers on a rehab assignment. I have done some parks on my own when travelling. Any time I have been on the road in baseball season and have the chance I try to see the local team if circumstances permit. I have seen a number of games in the Pacific Northwest seeing two Seattle Mariners short season single A Northwest League affiliate the Everett Aquasox and AAA Pacific Coast League affiliate the Tacoma Rainiers. Everett is an especially interesting place to see a game. The games are well attended and the team management has some great promotions including “Frogfest” where the team wears tie-dyed jerseys and there is a kind of 1960s hippy theme. The Rainiers play in Cheney Stadium in Tacoma. In Tacoma I saw Mariners pitcher Felix Hernandez pitch his first AAA game. Both Everett and Tacoma are nice places to see a game. While on the USS Hue City at the Maine Lobster Festival I worked a deal with festival organizers to get tickets for our sailors for two games watching the Portland Seadogs the AA affiliate of the Boston Red Sox. When the Seadogs hit a home run a lighthouse rises up from behind the fence and a foghorn sounds. However the two most interesting place that we have seen games together are Ashville North Carolina, the home of the Ashville Tourists and Zebulon North Carolina home of the Carolina Mudcats. Ashville has quite a history with McCormack Field dating back until 1919. The grandstand was rebuilt a number of years back, but the playing field is the same. The outfield wall backs up into a tree covered hillside into which home runs hit at night almost seem to dissolve. Zebulon is another matter. The stadium is about a mile out of town surrounded by farm fields. When you drive to it down US 64 from Raleigh the stadium almost seems to emerge from nowhere as if it were beamed down from a orbiting starship. It is a fairly new stadium and very modern a great place to see a game. We went there to see the Mudcats, who were then the Marlins AA Southern League affiliate play the Mississippi Braves. We got to the stadium and found that somehow I had left our tickets at home. Since the game was in an hour and home was bout a 6-8 hour round trip I knew that going home to get them was not an option. So I went to the ticket manager and explained the situation. He had remembered taking my ticket order by phone as we had talked about shared military experiences. He was able to print us duplicates for the seats that we had previously purchased and we saw the game, as always from down behind home plate. In this game we saw Braves All Star catcher Brian McCann play the week before he was called up to Atlanta. I hope that we have some time next year to make at least one trip out to see some other Minor League venues. They are a lot of fun and part of the fabric of our country and somehow I believe if we reconnect in these locations, watching this timeless game that maybe just maybe we can overcome the emnity of all that divides our country and learn to be Americans again. We will never all agree on politics, religion, domestic, foreign or economic policy. No Americans ever have, but we can discover what it means again, through this wonderful game called baseball. I do think that the Deity Herself approves of all of these local parishes of the Church of Baseball scattered about our land. At the same time I always have my place in Section 102, Row B Seat 2 at Harbor Park.